Don’t tell them that Captur is a raised Clio – our product managers might have a heart attack. And definitely don’t tell them that Captur is the replacement for Modus – they might want to kill you! No, Captur is a new product from Renault designed for the promising compact crossover segment (already explored by our partner Nissan with the Juke). Even if it reprises the styling of Clio – the new brand identity –, Captur was designed by its own dedicated design team. And just because production of Modus is being terminated as Captur goes into production does not mean it’s a replacement model! 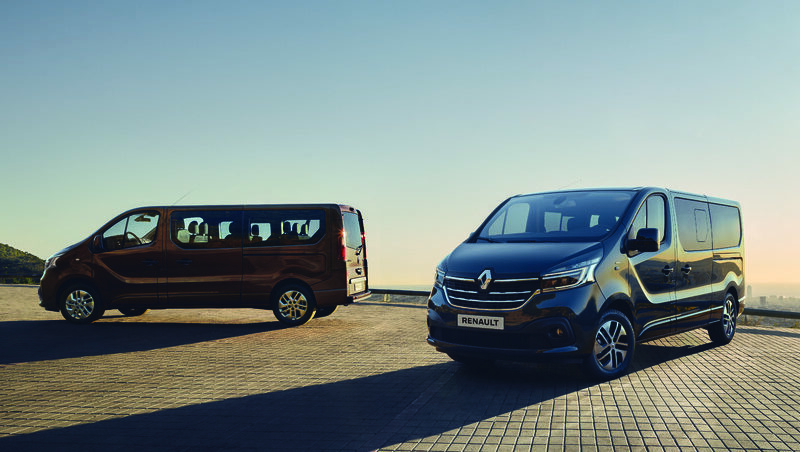 We can do a lot with the same platform: a small hatchback, a mini MPV or a compact crossover, with different features for different customers. Let’s take a closer look at this multi-functional crossover that will attract a lot of talk. 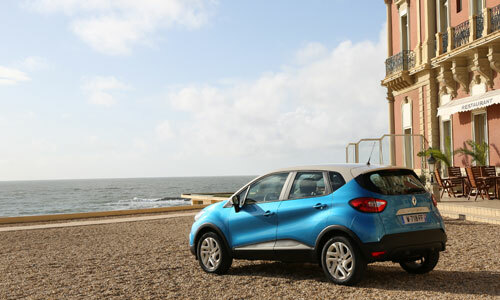 We took to the roads of the Basque country to test-drive Captur. It was a natural choice, because Captur is the volume-produced version of the concept car of the same name designed by Laurens van den Acker (Head of Design, Renault) to illustrate the "exploration" dimension of Renault’s design strategy. With the scene set, Captur likes the city but has the spirit of an adventurer, almost a surfer or a camper, with an Arizona Orange tan. 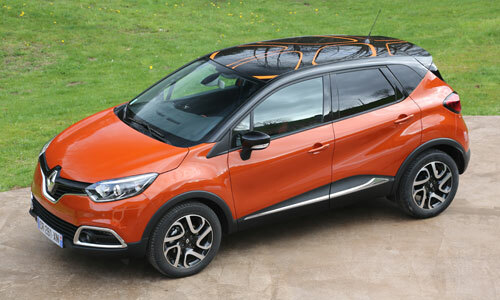 Captur is a crossover, in other words, a cross between a hatchback, an MPV and an SUV. 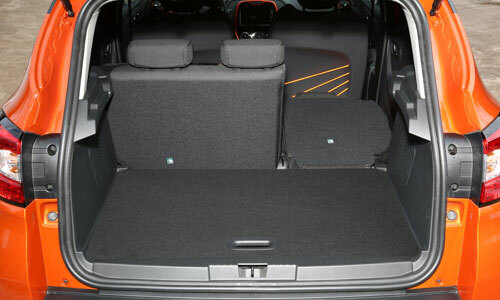 With a high driving position (10 cm higher than New Clio), if offers a clear view of the traffic, like an MPV, and more space and storage than a small city car: 455 liters (when the rear bench is pushed fully forward), with storage under the floor of the boot, and 27 liters of stowage space in the cabin (including 11 liters in the "Easy life" drawer!). It also borrows from MPVs a sliding, 60/40 split-folding rear bench that offers 215 mm of knee room for rear passengers (75 mm more than New Clio). In terms of length, it’s like a small city car, since at 4.12 meters long, Captur is only 6 cm longer than Clio. 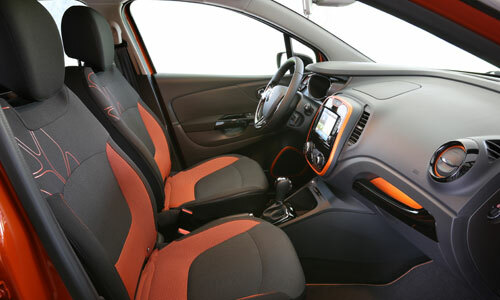 The version we tested was a two-tone Starry Black/Arizona Orange Captur TCe 120 EDC. 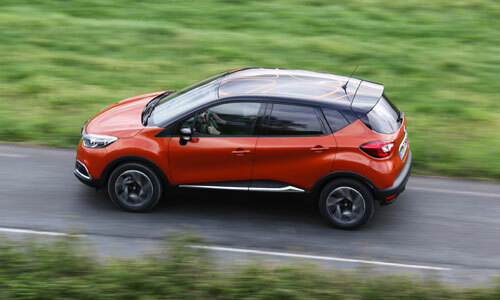 Captur is also available with an Energy TCe 90, an Energy dCi 90 or a dCi 90 EDC engine (the last kind will be available in the second half of 2013). The Energy engines offer Stop & Start and regenerative brakes, but cannot be mated with automatic EDC gearboxes for technical reasons. With its EDC gearbox and feather weight, similar to Clio III despite its larger size and more comfort and safety equipment, Captur was an enjoyable travelling companion, sitting firmly on its large wheels with contained roll and little stiffness. The engine is flexible, fairly responsive even at low revs, and offers fuel consumption of 5.4 liters per 100 km and 125 g of CO2 emission per km. 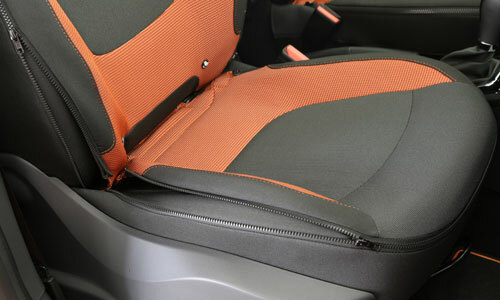 - "Zip Collection" unzippable seat covers, which are easy to remove and replace and are machine washable. This is handy, especially when you have active children or a dog in the back. 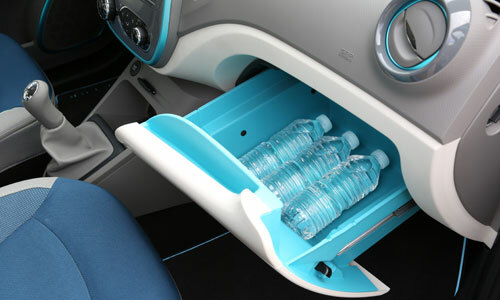 - a large stowage drawer called "Easy Life", the first glove box that the driver can use from his/her seat, which offers 11 liters of storage. 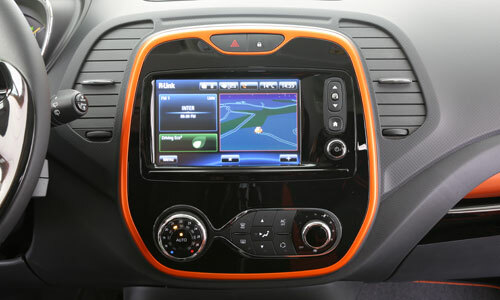 There’s also the R-Link multimedia tablet, with a touchscreen, already seen on ZOE and Clio. 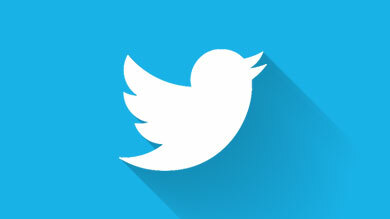 It gives access to an offering of around 50 apps via the R-Link Store, including R-Link Tweet to send tweets from the car, a fuel price app, and the Coyote Series®. The tablet includes voice command and Text to Speech, which reads out your emails or the news while you’re busy driving. 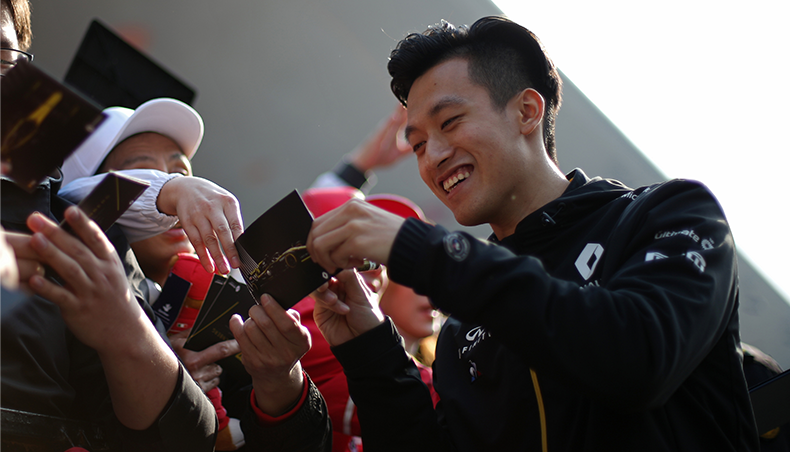 The signs of the new Renault Design developed by Laurens van den Acker are there. A proud, vertical front logo on a glossy black background, large wheels, muscular flanks create a racy, Latin look. Made to explore...but especially to conquer ! 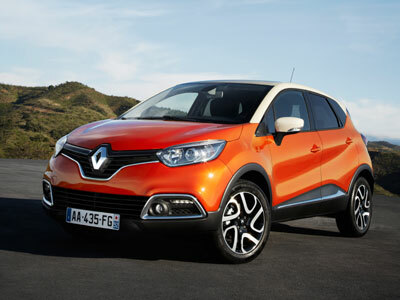 Ultra-personalizable, practical and compact, Captur hopes to appeal to new types of customers. Crossovers are a very young market, accounting for 8% of the B segment in Europe. The share of crossovers is expected to almost double to 14% in 2013, which interests carmakers. 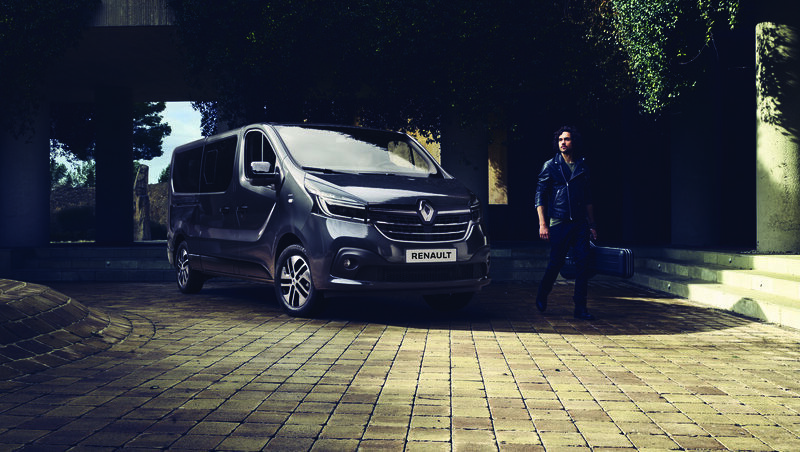 When it designed Captur, Renault was looking to appeal to families looking for something more exciting than a purely functional vehicle. This car will also be a "heart throb", with a young, contemporary image, and will also attract singles and couples without children. Last but not least, Captur is a product for conquering international markets, as Clio, Fluence, Logan and Duster were in their time. 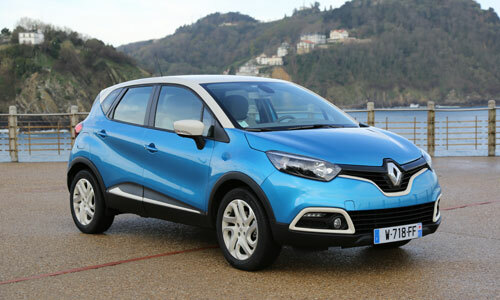 It has already been announced that Captur will be sold in South Korea under the Renault Samsung Motors badge. As well as in Renault’s historical markets, the compact crossover will also be sold in South Africa, Israel, Japan and Singapore.